Situation/Background: After finishing a two-year post-acquisition employment agreement with Enteractive Inc./USWeb Cornerstone I was introduced by Marc Basset (VP with recruiting firm Hobson Associates) to Bob Matthews, a successful southern Connecticut real estate entrepreneur. Bob had recently concluded a deal where he bought New Haven Manufacturing out of bankruptcy for an amount that would be profitable for reselling the real estate alone. In this transaction, he inherited a conglomerate that consisted of three very different business: time and attendance, airplane parts, and door/cabinet handles. Bob was interested in improving his asset value by rebuilding these businesses. I was brought in as part of his search for someone with a technology background that could re-invent and re-build Stromberg, the time and attendance business component of New Haven Manufacturing. Stromberg was once the dominant leader in the time and attendance business and was responsible for selling the first mechanical time clock. The company over years of poor management had gone from a well regarded dominant force to a company woefully behind in technology with less than a 3% share of the market it had founded. Given the unclear outlook for what could be done I accepted the position of President & CEO as a one-year consulting assignment. It intrigued me to see if I could resurrect a dead giant through effective acquisition and marketing. Position Objectives: To re-invent and re-build the 100-year-old former leader of the Time & Attendance market from a bankruptcy position ($.5M in sales) to becoming a $100M leader in the labor management and identification market through acquisition and aggressive marketing. Issues: The company had no investment or management attention for almost five years and was milked as a cash cow, thus with few exceptions, the only employees left were those with little prospects, low motivation, or those that were being paid while working other jobs on the side. The industry was dominated by Kronos with a 65% market share position in the time & attendance market. Bob Matthews had high expectations but a limited budget (<$3M) for investing in the new venture. Results: Created the 7th fastest growing company in Central Florida and 2nd fastest growing software company! Acquired Jason Data Systems a $3M time and attendance software company. This small, but leading edge, company and its founders provided the product and development foundation for rebuilding Stromberg. Created new Stromberg corporate identity – modernizing the company image, yet retaining the benefits of a 100-year heritage of customer satisfaction. Built company from the ground up – 8 to 55 employees over four months. New management team, departments, policies & procedures, product, sales and operational strategies. Moved newly acquired Jason Data to new facilities in Lake Mary, FL and integrated company into a new whole. Launched new line of time and attendance software and a new line of biometrics clocks for a secure and reliable facility and time entry. Modernizing product line and significantly improving companies perception in the market. Restructured sales force into both a direct sales arm focusing on dense territories and a distributor/reseller arm focused on less dense territories and international sales. Raised revenues from $.5M to $6.5M run rate during the first quarter of operations (118% of the forecast). Operation costs kept to 70% of the budget. Named to the Central Florida Technology Fast 50 list, a ranking of the fastest growing technology companies in Florida (1995-1999). 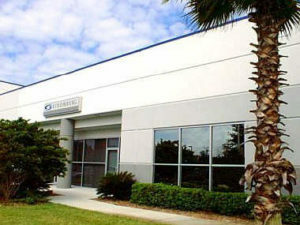 Final Note: The new Stromberg officially moved headquarters from New Haven, Connecticut to the new Lake Mary, Florida facility and consolidated all nonsales people into this one facility. The company continued to grow steadily and was initially purchased by a division of H&R Block and then acquired by market leader Kronos. The company was re-named Kronos-Stromberg. I could not be more proud of this amazing turn-around and of the amazing people that made it possible in a short 14 month period. I would like to recognize Richard Elwell (VP Sales) who was simply excellent in re-building the Stromberg sales organization and Kristen Dolan (CFO) who kept us organized and the operations on track at the torrid growth pace we maintained for over a year.